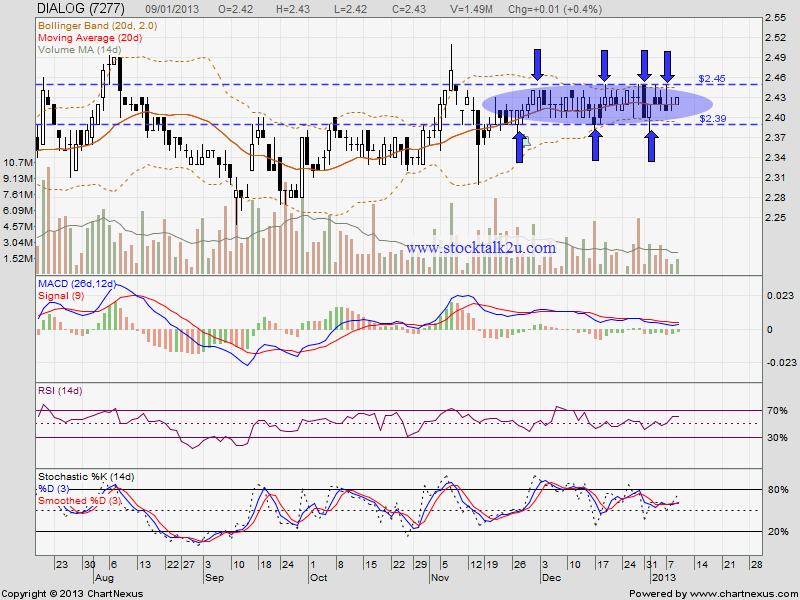 DIALOG consolidate within RM2.39 & RM2.45 range. When will it break through bolinger band squeeze? Immediate resistance @ RM2.45 level. 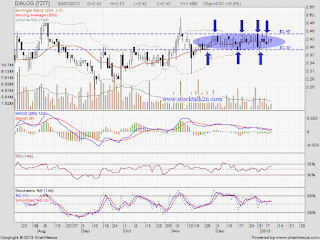 Immmediate support @ RM2.39 level. Next month, DIALOG will announce their Q4 result. If the result is above expectation, high probably will break through & go higher. If below expectation, it might continue side way or break down the support level. Still losing? I`m using the first ever U.S.A.patented Forex striker that destroys brokers and makes cash everyday. Pls visit my Forex striker Review and discover how i earned almost $18,000 in less than a month.